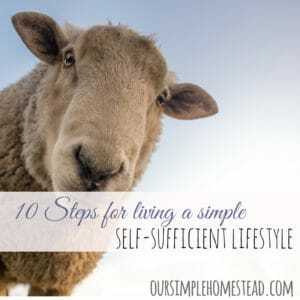 Steps to living a self-sufficient lifestyle. Learning to live a simple life starts with learning how to take care of yourself; it’s knowing that whatever tomorrow brings you will know how to take care of your family in the craziest of situations. 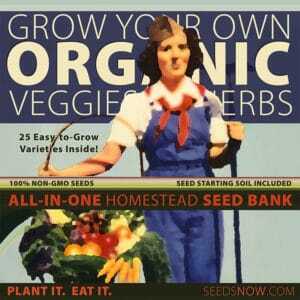 Grow your own food – You do not need 20 acres to grow your own food. 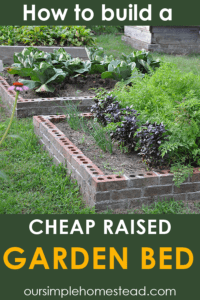 A 10×10 foot raised bed or patio garden is all you need to grow fresh vegetables. 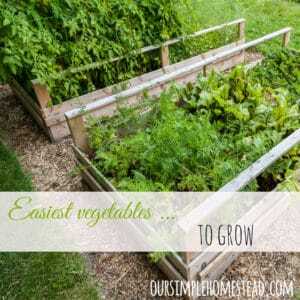 Almost anything grows in a pot even potatoes will grow in a 5-gallon bucket. 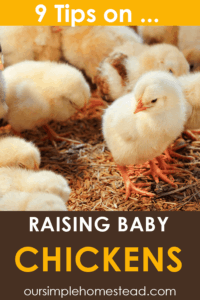 Know where your food comes from – This has been a real challenge for us since we have been unable to find a local farmer that can provide us with pasture raised, hormone free beef, pork, and chicken. I have had to rely on grocery stores for these meat products. Only one store in our local area carries a good supply of organic meat and that is Publix. We are, however, fortunate to live in a farming community so fresh local vegetables are abundant even though we buy few since we grow our own. Once you start to take notice local food you will be amazed at how much of our food supply comes from other countries. Eat seasonally – Buying out of season fruits and vegetables is very costly. If you plan your menus around what is fresh and in season your cost saving will be remarkable. I love to enjoy a strawberry shortcake dessert all summer long so in June when the strawberries are locally picked and at their freshest, I buy extra and freeze them to enjoy all year long. It takes some planning, but I always buy extra of whatever is in season and can or freeze for use all year long. This has been top on our list. Like every other family in America, caught in the vicious circle of debt, we had some issues to deal with, as well. When we made the choice to live a more simplistic life we knew that our first plan of attack was to deal with debt. Create a 5-year goal and write it down. Ours is to Work Less – Live More! In order for us to work less we must be debt free. Being debt free will allow us to enjoy life more! Create a budget – know where your money is going. Start a payoff plan…we started by taking the smallest of our bills and added anything extra to it every month and in no time we had it paid off. Stop using credit!!!! You will never get anywhere if you are still charging. Cut up all your cards except one to keep for emergencies. This does not happen overnight and ours is a 5-year plan to have all our debt, except our mortgage, paid off. We try our best to be good stewards of the land we live on. It amazes me at the number of chemicals that get poured into our lakes and streams every day. It was easy for me to make the switch to green cleaning. I was worried at first with the results, but I have been pleasantly surprised at my new cleaning products. Before I started the switch I dug out a months’ worth of shopping receipts and found that, between paper products and cleaning supplies, I was spending well over $150 a month. I was shocked!!! Now I spend about $20 if that after my first initial stock up. The only thing I buy on a monthly basis is toilet tissue and green dish soap. I only buy the green dish soap since I have not been able to find a homemade alternative I am happy with. Replace paper towels with an old cut up towel and keep close to the kitchen sink. Replace paper napkins with cloth napkins kept in a cute little basket on the counter. Kleenex has been replaced with old fashion hankies. I loved shopping for these since I found some pretty ones at an antique store. Make your own laundry detergent. I used to spend about $40 a month washing clothes now I spend $10 and the results are great. Replaced fabric softener with white vinegar. A monthly box of baking soda and a gallon of white vinegar goes a long way in my monthly cleaning duties. The vinegar diluted with water in a spray bottle washes all my mirrors and windows. The baking soda I use to wash all sinks, toilets, and tubs. To clean the countertops I often grab the spray bottle of vinegar for a quick spray down. I keep a spray bottle of watered down bleach for quick spray downs of my sinks and counters if cutting meat and chicken. Bleach is the harshest cleaner I use and I use very little of it. We all come from a wasteful society where throw out and buy new is normal. In our world, everything that can be re-used and re-invented is done so. Our biggest full circle is our compost pile where our scraps and chicken and rabbit manure are turned into rich compost that fertilizes our garden. Replace canning lids with reusable ones. The things I do buy that come in plastic containers get a second life by storing leftovers or sending goodie’s home with my kids. Rainwater is gathered to water potted plants around the yard and garden. Shop and donate to Goodwill. Give everything a second look before heading to the trash. It leaves an unsightly pile beside our barn but if something needs repairing most likely the fix is waiting in our reuse pile. It is the little things that make a big difference. Replace light bulbs with energy saver ones. Unplug anything that is not currently in use. Don’t use a dryer…find the heat from the sun. Plan your meals ahead and don’t rely on your microwave. Naturally, dry your hair when you can. Save all errands for one day. Close doors to rooms, not in use to save heat or cooling. Have no light days…enjoy the flicker of an oil lamp. Replace electric clocks with wind up ones. Go to bed when the sun goes down…this is my favorite since I love going to bed early! There was a time in our life where it was nothing to go spend $100 on dinner at a fancy restaurant, go on expensive vacations and spend way beyond our means. That has all come to a stop and we are ever so happy. Now we find our entertainment and happiness from sharing time with our family and friends at home. This was hard for me to come to terms with. I now put myself through a list of questions before I make any new purchases. Have I researched this product and found the best price? Can I fix, repair or re-use the product I am replacing? Have I waited a few days to see if the need still out weights the want? As we strive to become more self-sufficient we are also planning for the unexpected. We have 3 – 10-gallon jugs stored under the house in case the electric goes out and we do not have access to the well. Bottled water for drinking is always in the pantry set back for emergencies. Our generator is in working order and always ready to put into service to keep the freezer and refrigerator working. Our pantry is stocked with staples that could feed us for weeks. The grills propane bottle is always filled and an extra is always stored away. Candles and oil lamps are a staple in our house. Our first-aid kit is readily available. Turning from a typical American family who consumed too much energy, had terrible spending habits and thought enjoyment came from how many hours we could fit in a day…we have been reborn! 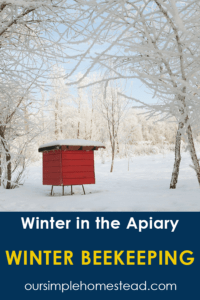 Living a simple life is quite different than what I imagined. The more things I do to make our life stress-free the more I want to sit back and enjoy life as it was meant to be. We realized early on our transformation was not going to happen overnight but we continue to strive for the lifestyle we dream of every day. Awesome post! Tons of great ideas! My hubby and I have the same goals as you and have been where you were… spending hard-earned money and having nothing to show for it just for a couple of hours of enjoyment! 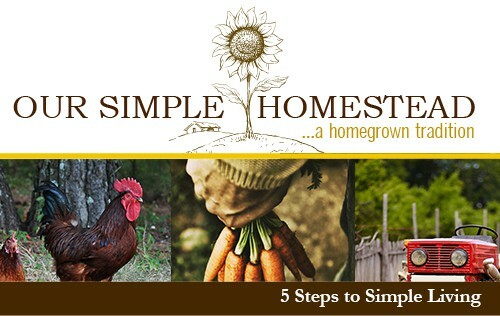 Now, we’re enjoying our new simple lifestyle and we’re making changes one day at a time! I am so glad you liked the post! We are really trying to change the way we approach life and we too are making big changes daily. For instance today…we needed to replace an appliance…in years past if we didn’t have the cash we would have charged it. Today we walked in the store and didn’t have enough cash to outright buy what we needed so we put it on lay-a-way and will pay on it until we have it paid for. This has been a big adjustment for us and one of the hardest habits to break! But we did it and it is such a liberating feeling! Love this series; love this site! Husband and I are newly married 20 somethings and stuck in the city. Our apartment doesn’t even have enough sun coming through to grow anything! I love to live vicariously through your adventures and learn a few lessons along the way. I was stuck living in the city once and dreamed of wide open spaces. Never give up on your dreams and make a plan. Plans are only wishes unless you write them down. Living a simple life is a state of mind no matter where you live, even in the city. Take small steps like using a drying rack to dry clothes so you can save on your electric bill, go the farmers market for fresh vegetables, and even learn to can and preserve fresh fruits when they are in season. Everything you can learn now to be more self-sufficient will carry with you for a lifetime. 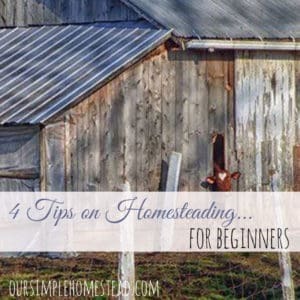 I cannot begin to tell you how much I enjoyed reading parts 1 & 2 of this post! What wonderful suggestions! 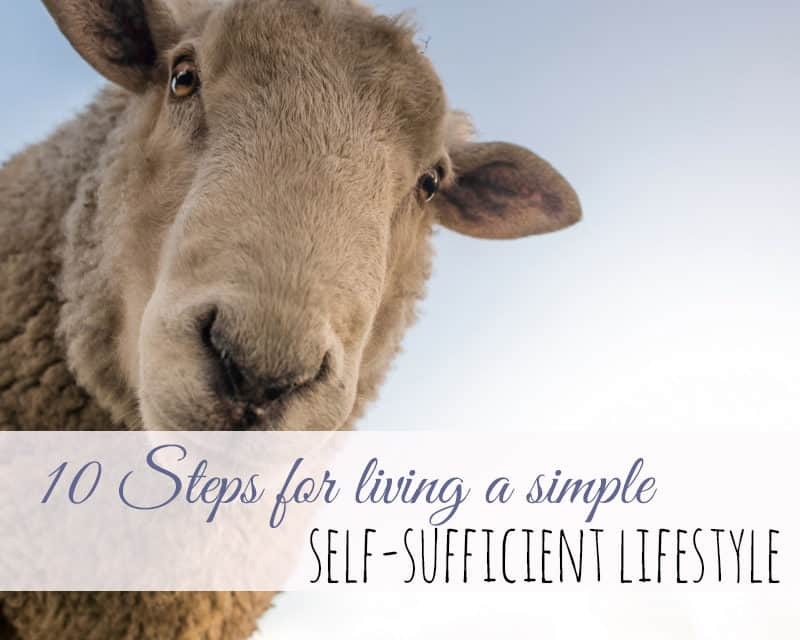 We, too, want to live a more simple life, and God has blessed us to make great strides towards that goal. 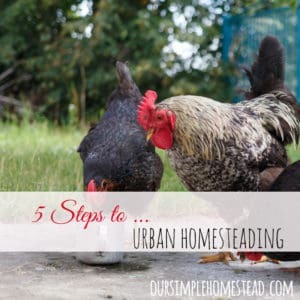 But, there is so much more to do….I feel like we haven’t come so far after reading these lists! It motivates me to try harder to get back to the basics and live as simply as we can, because truly that is the best way to live. I LOVE your blog…it is truly a blessing to me! God bless you for sharing the wisdom He has given you. I trust your transition goes very smoothly as you leave the corporate world for good. I know it will be one of the best choices you’ve ever made! I am so glad my lists are helping you strive to find ways to live more simple. We have been at this for years and it is like second nature to us now, but I love hearing how others are just starting to change their lives! Take one step at a time and before you know it your lists will look like mine. Iris I don’t have a good photo of my pantry, but that would make a great post and I will work on that. I do have a post that I detailed everything out I keep in my pantry. Have you seen that yet?